- Work sample ( max. 15 images low resolution of recent work and/or video in a vimeo/youtube link). July 30, 2017 at 00:00. 180 euros for the 12 days program. Does not include accommodations, per diem or transportation. We are a small organization and, unfortunately, cannot provide full-tuition grants for Atelier-Galeria participants. We are happy to provide letters of support, should you apply for travel grants or funds from outside organizations. 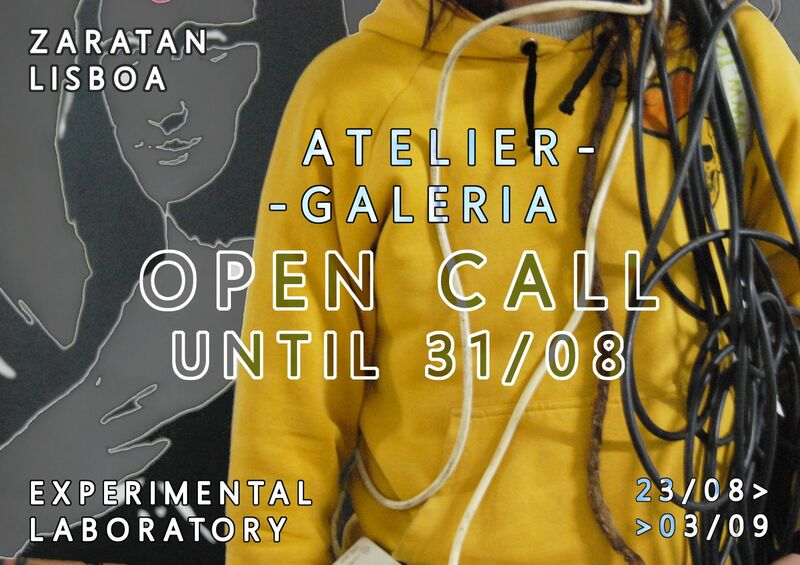 Atelier-Galeria is a unique two-week program for national and international artists, curators, critics, and other cultural agent, conducted in English in Lisbon, which aims to widen the knowledge of visual arts in both theoretical and practical aspects, nourishing experimentation and the originality of young artists coming from all over the world. Zaratan- Arte Contemporânea mainly comes from the tradition of artist-run spaces. Historically, artists have been especially good at identifying cultural needs and in making them available through the creation of structures. Detached from the traditional teaching methods, Atelier-Galeria offers a unique experience that privileges improvisation, debate and growth. The course Atelier-Galeria aims to research new forms to fulfill the physical space with transversal, collective and efemeral thinking and producing. In a world that seems to have an increasingly difficult time embracing difference, Atelier-Galeria aims to blur the distance – that is physical and mental – between the artworks and contemporary society, analyzing the incidences from the private to the public and from the public to the private. Practically, the gallery space of Zaratan – Arte Contemporâne will transform itself into the studio of the participants, open to the public everyday during the gallery opening hours.